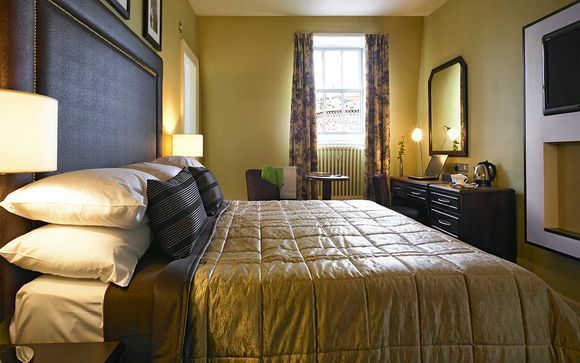 This classic hotel is set within an elegant Victorian building with contemporary rooms and a brasserie-style restaurant. Located within walking distance of the train station, and within easy reach of Carilsle's Cathedral and Castle. For those wishing to venture further afield, to the South is the beautiful Lake District and historic Hadrian's Wall is to the North. 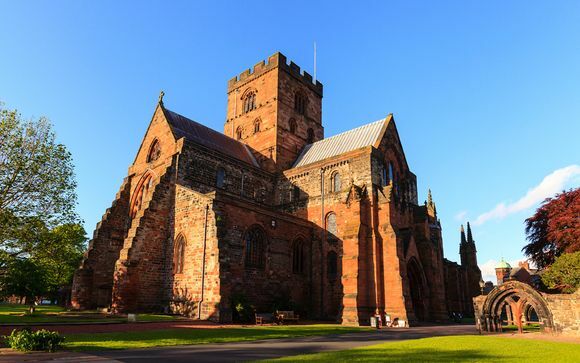 The historic city of Carlisle is at the crossroads of some of Britain’s most iconic visitor attractions – with the Lake District to the south and Hadrian’s Wall to the north. It’s a lovely place to stop off when crossing the border into Scotland. Or perhaps as a place to relax after some of the many outdoor activities the region has to offer. Running through some of the most attractive scenery in the Yorkshire Dales and Cumbrian Fells, the Settle-Carlisle railway is world famous for its Victorian architecture. Major shopping centre in Carlisle city centre with more than 80 chain and independant stores. Discover the castle's turbulent past in its fascinating, family-friendly exhibition. Explore medieval castle rooms as well as 19th century military buildings, and visit Cumbria's Museum of Military Life. England's largest National Park is home to Scafell Pike, the country’s highest mountain, Wastwater, its deepest lake, and many thriving communities like Keswick and Bowness-on-Windermere. Hadrian's Wall has something for everyone – world class archaeology, spectacular landscapes, rare wildlife, complete solitude, vibrant cities, wonderful pubs, and a population of friendly, welcoming people. Situated next to the railway station and a short walk away from the Lanes Shopping Centre this welcoming hotel is a perfect base for couples looking to combine day trips to the Lake District with visits to local attractions, such as Carlisle Castle and Hadrian’s Wall. The wine bar offers a relaxed setting to wind down after sightseeing, with a snack from the light bites menu or an indulgent Afternoon Tea. If you would like a full meal, head to the brasserie-style restaurant for contemporary cuisine. This offer is based on a Standard Room. Just for you: Early check in (12pm) and late check out (2pm), plus a bottle of wine and chocolates in the room on arrival. Your modern room features stylish decor, a twin or double bed and every amenity you could need such as free wifi, 24 hour room service, flatscreen TV and tea and coffee-making facilities. The relaxed brasserie is popular with locals and serves modern European are in an informal setting. If you’re in a hurry, there’s a varied ‘light bites’ menu served in the wine bar, which includes sandwiches, wraps and burgers. Work up an appetite for an indulgent Afternoon Tea with a walk in the nearby Solway Coast Area of Outstanding Natural Beauty. Finger sandwiches, home made scones and gallons of tea will be a welcome treat!